My clinical experiences at Christian Brothers College (CBC) High School have helped me to develop into a more well-rounded professional. 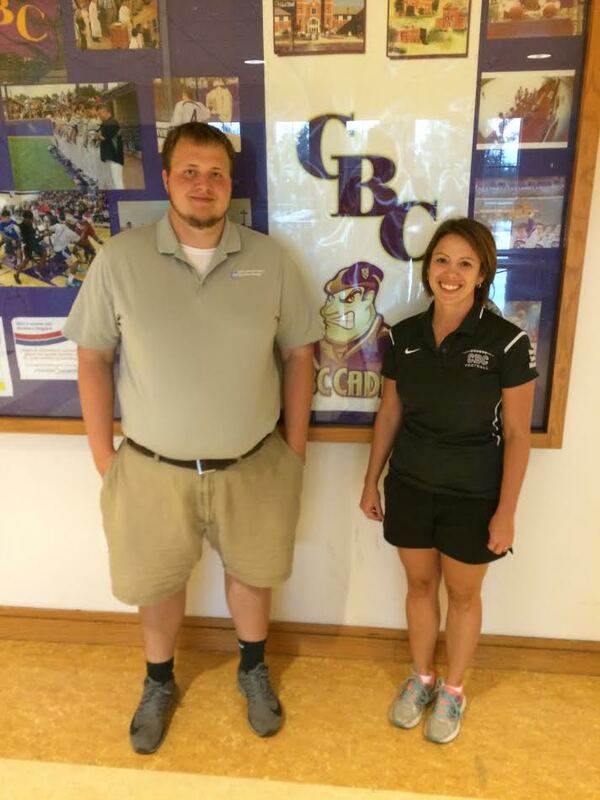 At CBC, I have had the opportunity to care for numerous athletes with various pathologies. During the winter season, I have helped my preceptor, Kristen Jeans, ATC, to care for the basketball and wrestling teams. I had not had much experience working with wrestlers before so it was a valuable experience for my professional growth. At the beginning of the wrestling season, we performed hydration and body composition testing on the wrestlers to adhere to MSHSAA regulations. I also evaluated and treated acute trauma and skin conditions that affected the athletes. At CBC, I have been able to assist Kristen with developing rehabilitation programs for injured athletes. We provide treatment for both acute and chronic injuries and strive to get the athletes back to competition as quickly as we can. We do not have the luxury of all of the modalities and equipment that might be found in a collegiate or professional athletic training room, so we have to be creative in using the resources that we have. I believe that learning to practice in this manner will be of a great benefit to me in my professional career. As the spring season begins, I will be helping Kristen to care for the baseball, volleyball, tennis, and track and field teams. I’m extremely grateful for the kindness that has been shown to me by the entire CBC community this past year. This month I also had the opportunity to work alongside my classmates and professors at the Missouri Valley Conference Men’s Basketball Tournament. We assisted Mercy physicians with providing medical care at the tournament. Along with assisting the participating teams’ athletic trainers, we also cared for the cheerleaders, dancers, and officials involved in the tournament. I really enjoyed this experience and learned a lot about providing care for a large collegiate tournament.